The students of Penn State love their school so much that they affectionately refer to its geographical location as Happy Valley. The school spirit in Happy Valley is so overwhelming that it isn’t left behind after graduation. 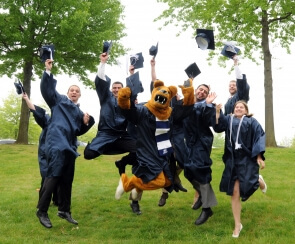 Penn State holds the title of the largest alumni network with approximately 616,000 alums. The amazing feeling of being a Nittany Lion is something that will always be ours to cherish—and to flaunt. Here are a few ways to spot a member of the proud Penn State alum. Notice the amount of cars sporting Penn State bumper stickers next time you go for a drive. 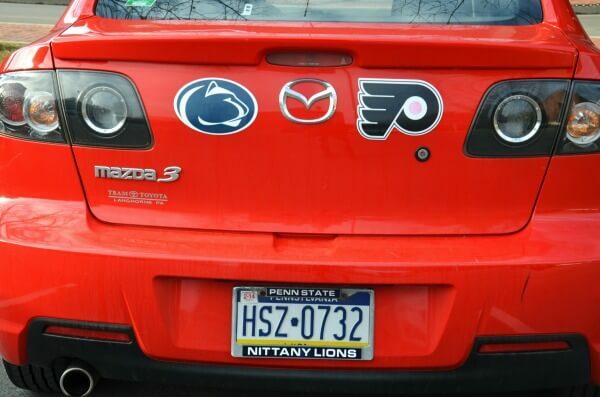 Whether it’s the Nittany Lion paw or any generic navy and white Penn State sticker, alums love the opportunity to sport their school spirit to those around them, even while they’re driving. On any given game day weekend, alums flood the Penn State campus. You can’t walk into any fraternity without finding alumni reminiscing their frat bro days. The traffic is clogged at an immense capacity and the line to the well-loved Waffle Shop downtown goes on for blocks. The tailgating lots are a hot spot for alums too. 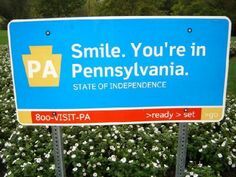 With 63 percent of the student body being in-state students, it feels as though every person you meet at Penn State is from Pennsylvania. Following graduation, about half the alumni stay in-state. It’s hard to even walk around any town in Pennsylvania without spotting someone in a Penn State sweatshirt. 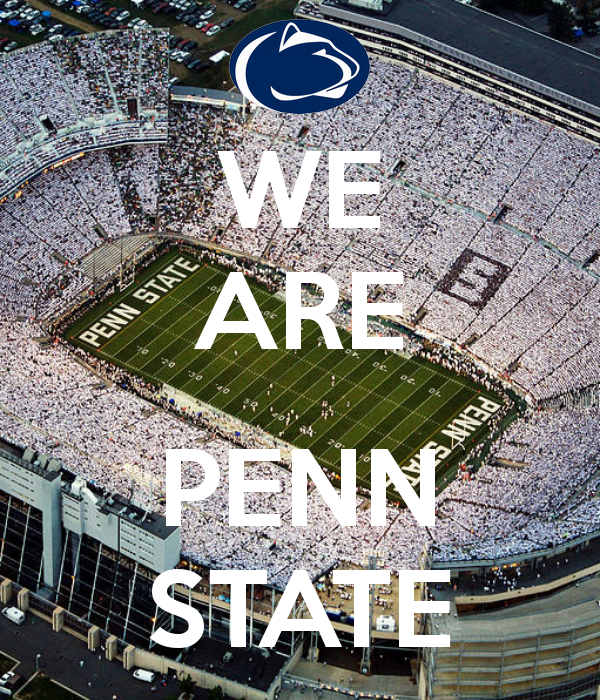 Every Penn State alum knows the value of the “We Are” chant. Since 1947, Penn State fans inherently know that the response to “We Are” is “Penn State.” Chanted everywhere from Beaver Football Stadium to street corners around the country, no “we are” chant is ever left without a powerful Penn State echo. Sophomore Penn State student Johnny Casterline said he was once surprised while hiking the mountains of Oregon when a fellow hiker shouted “We Are!” upon seeing him in a Penn State sweatshirt. “Penn State is really everywhere, it’s awesome,” Casterline said. 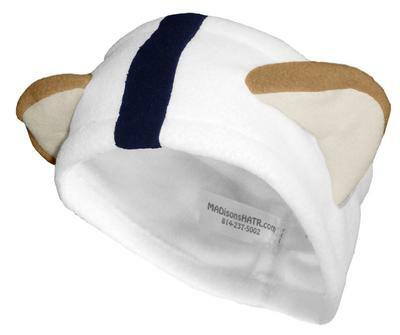 Staters love to sport trendy headbands with the Nittany Lion ears. What better way to shield the cold then embodying the animal that represents you the most? PSU alums love their paws and “We Are!” temporary tattoos on their face as much as they do on the back of their car as a bumper sticker. No game day outfit is complete without this essential accessory, and can be bought at almost any retail store downtown. 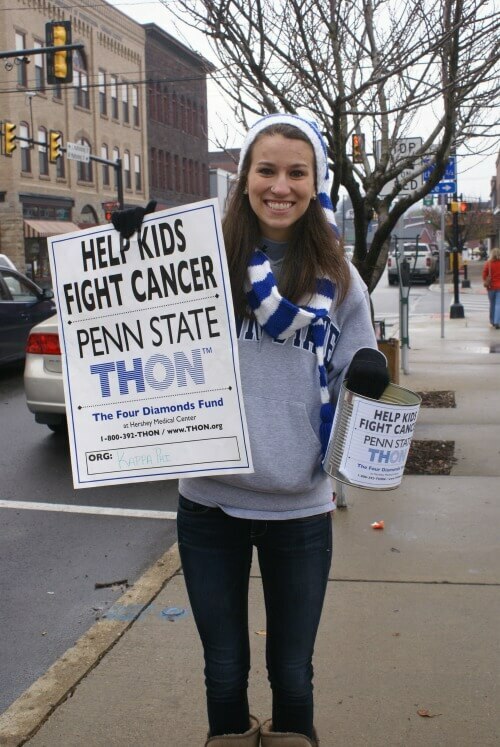 Many PSU students are familiar with the art of canning: standing on street corners and outside stores three weekends a year soliciting with cans to raise money for Penn State’s student philanthropy THON. Students travel to their hometowns with various organizations in hopes of raising money. Alums are always committed contributors to this cause. The Nittany Lion Shrine located on Penn State’s University Park Campus is the second most photographed landmark in Pennsylvania, first being the Liberty Bell. Every alum’s return to Penn State constitutes a photo shoot here. The line sometimes grows to a 20-minute wait, but nothing can stop alumnus from photographing themselves, their fellow alums, their children and their friends on this landmark. After all, did you really go to Penn State if you don’t have a picture on the lion?